The Strides have an exciting sound from a broad range of influences, their repertoire is extensive and the band can tailor their playlist to your specific requests and requirements for any type of event. Quite simply one of the best wedding bands around , the strides posses the enviable ingredients of youth, experience and unrivalled musical ability. 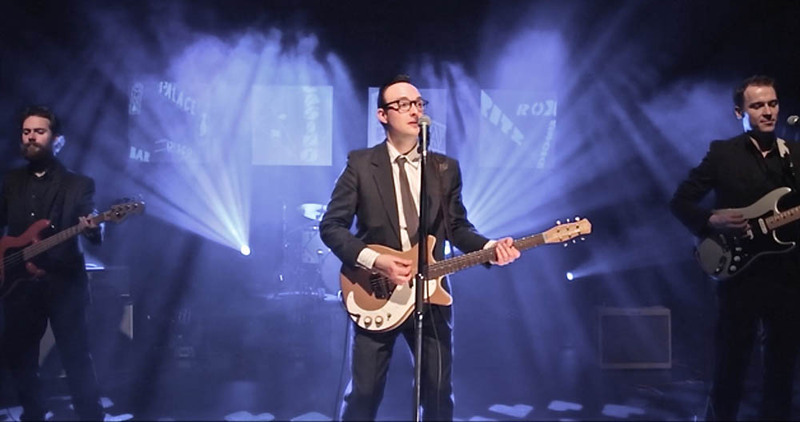 Their energised performances contain a superb collection of music from the The Killers and Kings of Leon to The Beatles and Sinatra, all performed with ultimate style and class that guarantees a fun time for all. The Strides have the unique ability to appeal to audiences of all ages and once they have they have got you on the dance floor they are guaranteed keep you there! The Strides provide all of their own equipment in the form of a PA system with lights, a full disco facility between their sets and also have the facility to do up to 30 minutes of ceilidh with caller. Upon request they can also hire in an accordion player should the client be looking for a longer period of ceilidh. The Strides will also learn first song requests providing that they are given a minimum of six weeks notice.